Wondering what to do in Florence Italy? You found the best resource available: here is an index of what you will find on this page, click on the desired section to be redirected. There is a reason why you have chosen Florence Italy for your holiday. You probably know that Florence is the cradle of the Renaissance, the place where artists like Michelangelo, Leonardo Da Vinci and Botticelli lived and worked, and you want to see some of the beautiful works of art and architecture that Florence can offer you. If you ask everybody else who’s been here what to do in Florence Italy, he will answer: do a walking tour of the city to see the Duomo and Ponte Vecchio, a tour of the Uffizi Gallery to see Botticelli Birth of Venus, and a tour of the Accademia Gallery to see Michelangelo’s David. 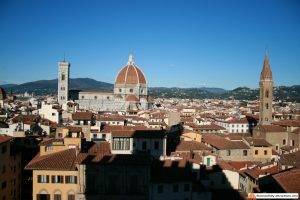 I agree with all of the above, as those are the top three things to do in Florence, but if you ask me what to do in Florence Italy, I will answer: a lot of different things. You have much more art and history among the things to do in Florence, but also don’t forget food and wine, shopping, sports and events. In a perfect world, you would need at least one week to taste Florence, and still you would have a feeling that you need to come back because you missed something. The reality is, travelers to Florence spend two to three days in town, so let’s follow my suggestions and use your time in the best possible way. Don’t be scared by Florence tour prices: we have tours for any pockets. These are the three main things you are going to do in Florence. You will learn by visiting museums, but you will need guidance to fully appreciate the beautiful things we have in Florence: make sure to book some tours, preferably private, with a licensed guide that will tell you something about the history of the city and the works of art. Use this blog to learn what to do in Florence, how to skip the lines and visit the city without hassle, exploring new paths and hidden gems. Let a professional tour guide suggest you the best tours. I am a tourist guide, and I am supposed to recommend as many guided tours as possible during your stay in Florence: wrong! You should plan your tours wisely, without exaggerating. There is so much you can learn in one day. 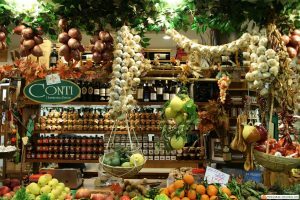 Remember to take a break from art and history: amaze your palate with our typical products, learn how to cook like a Tuscan or go for shopping in the capital of fashion. Read my suggestions on how to spend your free time! Don’t forget that Florence is the capital of Tuscany, one of the most beautiful regions of Italy. If you have enough time, spend some to travel. 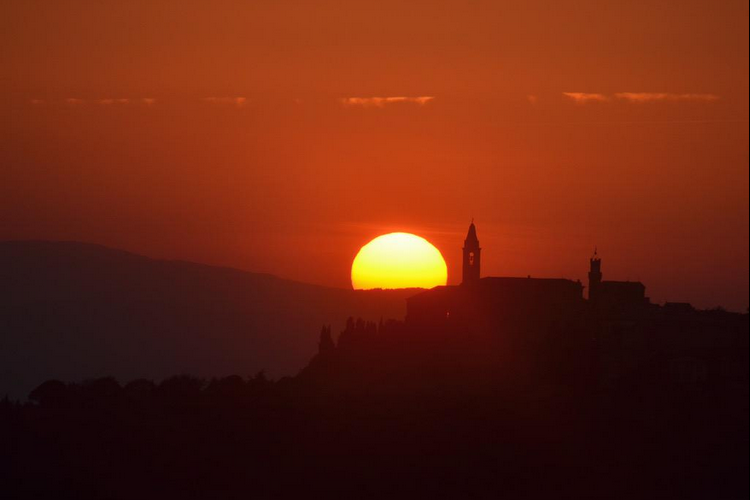 Get to see amazing cities like Siena and Pisa and uncontaminated nature in the Chianti and the Cinque Terre. If your holiday is limited to Florence but you have multiple days available, don’t forget to take advantage of the high-speed trains: read my suggestions about visiting Rome and Venice from Florence, and you will discover it’s not impossible! If you are choosing what to do in Florence, you have probably seen many Florence tours offered by agencies, tour operators and websites based on user reviews. It’s a crowded market, and there are offers for any need. We have tours of Florence in a day, Uffizi tours, other museum tours, walking tours, Florence Duomo tours, wine tasting tours, food tours, cooking classes, tours by bike, Vespa, segways, Fiat 500 (the vintage one) and many more. The problem though is that the good and well-organized Florence tours appear in the same pages as the bad ones, especially in the big websites comparing them by user reviews, and trust me when I say that there is no apparent difference. I am a tourist guide and when working for agencies, I provided both good and bad tours: I always try to do my best, but sometimes the tour is just not good. Meeting points difficult to find, tours sold through many different channels with people being given different times to meet, tours that add more attractions than it’s possible to see in the given time (with people being rushed as a consequence). I used to see too many unhappy people while doing my job, that’s why I dropped many agencies from my list of job providers, started selling my own private tours online, and finally decided to create this free resource for the traveler: here is where I select the Florence tours I know are good, because I provided them and know how they work. Even before deciding where you want to go or what you want to do, let’s see the difference between the guided tour categories. Knowing what to expect makes a big difference when it comes to enjoying what you decided to pay for, so better you choose what kind of Florence tours you want to buy, before picking any specific tour. Clicking on the links below, you will access all the tour categories. If you think that something is missing, want me to plan your activities in Florence and Tuscany, or just would like to ask more questions, don’t hesitate to contact me. 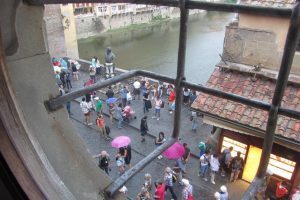 Learn how to see the Duomo, Palazzo Vecchio, Ponte Vecchio avoiding the crowds. Find out which tours are the best to discover the city of Florence. An orientation tour is the first thing you should consider when visiting Florence. My article will tell you how to start on the right foot, by picking the best guided walking tours, whatever is your budget. Don’t get lost in the many offers available online, trust a licensed tourist guide who has provided the same tours. Visit the greatest museum in Florence and get to see Botticelli’s Birth of Venus. 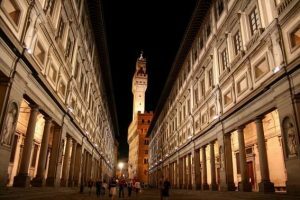 The Uffizi is the most important museum in Florence, and you don’t want to leave the city without having seen the masterpieces by Leonardo Da Vinci, Botticelli and Michelangelo. No other museum in the world can show such a collection of Renaissance paintings. 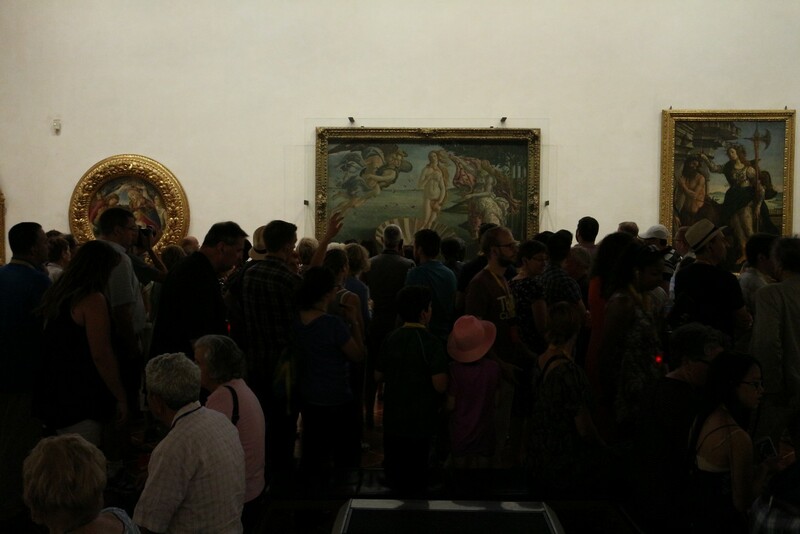 Beware, though: the Uffizi Gallery is one of the most crowded places in Florence. Read my suggestions to enjoy a perfect tour. One day: is that all you have to visit Florence? Then, let’s get the most out of your time, by choosing the best full-day tours. Uffizi, Duomo and David in one day: can be done, but must be organized carefully. If you make the wrong choice here, it will be a very disappointing experience. Lucky you: I know these tours very well for providing them on a daily basis. Read my suggestions and my picks, make your day in Florence the best of your holiday! 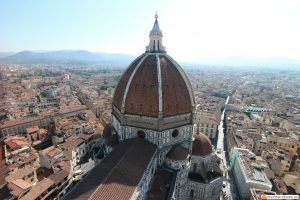 The Duomo is the most important and most amazing building in Florence, and you want a detailed tour showing you all the beautiful things included in the monument. 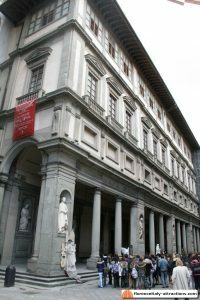 Even if you have been in Florence already, here you will find something new: the Opera del Duomo Museum, recently enlarged and renovated, has become one of the most important and popular in Florence, in competition with the Uffizi and Accademia Galleries. Learn how to visit the greatest attraction in Florence like a VIP! The most hidden and exclusive attraction of Florence, the Vasari Corridor was the private passageway reserved to the Medici family. By visiting the Corridor, you can walk through the “Path of the Prince”, from Palazzo Vecchio to the Pitti Palace, admiring the largest collection of self-portraits in the world. This exclusive tour is not easy to find, and it’s usually expensive: read my tips and pick the best possible Vasari Corridor tour! Very popular, Inferno tours follow the footsteps of Robert Langdon, as you can read In Dan Brown’s novel Inferno. Inspired to Dante’s Inferno, the novel is a follow-up of the Da Vinci Code, Angels and Demons and The Lost Symbol, and it is becoming the a film directed by Ron Howard, with Tom Hanks as the protagonist (which, we expect, will make the tour even more popular). The story happens in many amzing attractions of Florence, like Palazzo Vecchio, the Vasari Corridor, the Boboli gardens and the Baptistery. I’m a real expert of these tours, providing them since 2013, and you can read my suggestions to pick the best possible Inferno tour. 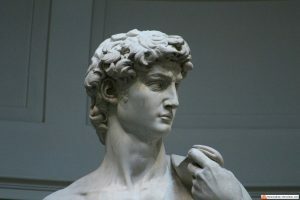 Leaving Florence without having seen Michelangelo’s David? A crime! 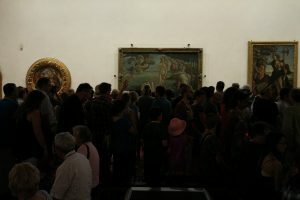 The Accademia Gallery is the place to go to see the iconic giant statue, but, unfortunately, that’s the most crowded place in Florence. Is there a way to avoid the crowds? Yeah, just visit Florence in January or February. Or: follow my tips, picking the suggested tours: you will avoid the crowds and have a pleasant experience. For some reason, your one-day visit in Florence is on Monday or, anyway, your stay involves a Monday? Ouch. Most museums (like Uffizi and Accademia) are closed on Mondays, but you can turn this issue into an advantage: you will see other beautiful hidden gems, without having to wait in line. Turn your Monday in Florence into a great day: discover what to do in Florence on a Monday and let the city surprise you with more amazing attractions. Too bad you didn’t schedule one or more days in Florence while visiting Italy. The good news? If you are lodging in Rome or Venice, you still have a chance! Yes, because high-speed trains will get you to Florence in just 1.5 hours from Rome and 2 hours from Venice. Take advantage of this opportunity, you can’t miss the Renaissance city. Read my article and find tips and tricks to organize your excursion to Florence in the best possible way, saving money. Are you a fitness fanatic, or do you just aim at not losing your shape during your holiday? Well, I understand: you are most probably going to appreciate our food and wine, they are a big part of any holiday to Italy. Among the many ways to visit Florence, you can opt for several outdoor activities: hiking, cycling, jogging and horse-riding, among others. Read my suggestions and see the beauty of Florence and Tuscany while training your body. 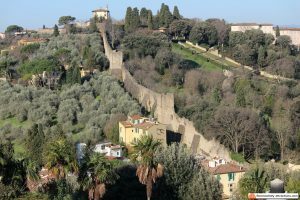 Tourists come to Florence to see Michelangelo’s David, the Duomo and Botticelli Birth of Venus, but there are many more things to do, especially if you want to take a break and relax in Florence Italy. After all, it’s a holiday, right? Maybe your hotel has a wellness center, or maybe you can opt for a spa in Florence, but not necessarily: there are many alternative activities to choose from, and they are becoming more and more popular. People want to stay away from the crowds, they want to feel like locals, and learn something about the traditions. In this page, I will list the Florence activities which do not involve visiting a museum, church or historical palace, but just fun and relax. The fact it all happens in a beautiful city adds to the pleasure you will have from these activities. What can you do in Florence which is not visiting a historical site? You can attend concerts or sports events, take a look at the other periodical events like markets, shows, feasts, but the two main alternatives to the standard activities in Renaissance City are food, wine and shopping. You will find plenty of ways to enjoy Florence activities, and I’m sure you won’t regret taking a break and missing some minor attraction to dedicate this time to yourself. Florence activities related to food and wine are definitely the most popular alternatives to museums. Tour operators took advantage of this popularity offering more and more tailored tours to satisfy any traveler. Wine-tasting sessions turned into cultural tours, where you will learn the process of winemaking; food tours turned into one-day cooking classes, often involving the whole process, from doing groceries to cooking to eating what you learned to cook. The recent trend is to turn these activities into experiences which give you a chance to feel like a local, eating and drinking in the same places and respecting the traditions (we don’t finish our lunch with a cappuccino, but we make fun of you when you do!). 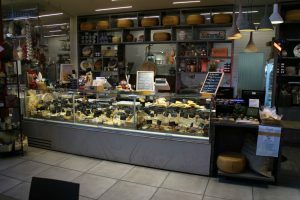 Maybe your holiday in Italy included other destinations, like the Amalfi Coast, Lake Como, Rome, Venice, and maybe you already had a food tour in one of these destinations. Well, don’t think all the food tours in Italy are the same. They are very different, instead, and for a simple reason: Italy has been split in a bunch of regional countries for many centuries. The Tuscan cuisine is different: amaze your palate with local food, or discover the local tradition of “aperitivo”. If you are interested in wine, you are in the right place. 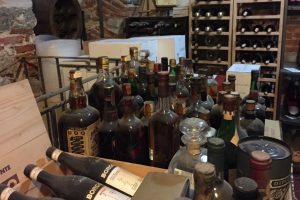 Tuscany is the most famous region in Italy for various reasons, and one of them is, indeed, wine. Tuscany is the perfect environment for growing grapes, with his landscape filled with hills close to the Mediterranean Sea. This nature, modified by the hard work of winemakers, is among the most romantic in Italy. With a wine tour of Tuscany you will dive in full-immersion in the world of wine and discover all the secrets of the winemaking process. No other people in the world are serious about food like Italians. Our cuisine, which has proved to be the healthiest in the world, is not complicated, and if you want to learn how to cook like an Italian, we have plenty of one-day courses that involve the full process, from buying the right ingredients to manipulating them, using the right tricks, to obtain delicious results. By joining a cooking class in Florence, you will learn how to cook the typical Tuscan dishes, amazing your guests with delicious food. 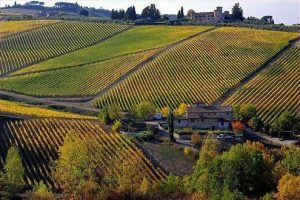 If you don’t have a day to dedicate to a wine tour in Tuscany, you can still take advantage of the many wineries in town, and schedule a wine tasting session in Florence. Many wine shops offer nice wine seminars in English and, if you like what you taste, they will be happy to ship worldwide, avoiding the hassle of adding a heavy product to your luggage and the airport and customs checks. If you like a convivial experience in Florence city center, we have the right suggestions. Even shopping, an activity which is generally impulsive (when not compulsive) can be a cultural activity. 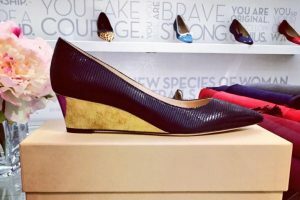 Not many know, but the first fashion parade in history took place in Florence, and many famous brands have their headquarters in Florence or were founded by Florentine families (Ferragamo, Gucci, Prada, Emilio Pucci). The most important fashion fair in Italy, Pitti, still takes place in Florence (the first edition was in the Pitti Palace, hence the name), and our shopping streets have nothing to envy to the 5th Avenue or the Rodeo Drive. You can certainly shop on your own, but you can also join a shopping tour to be escorted in the most typical shops: again, it’s a matter of shopping like a local. Florence is the capital of fashion in Italy. It’s the city where “Pitti”, the most important fashion fairs of the country, are held since the 1950s, and where some of the greatest Made in Italy brands like Gucci, Pucci and Ferragamo come from. By walking through the city center, you will find many shops that you can find in any other important city; but with a shopping tour you can visit the most typical shops in Florence city center or go hunting for a bargain at fashion outlets. 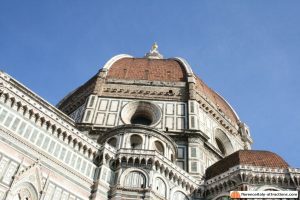 A holiday is a holiday: you want to have great memories of Florence, so don’t try to do more than you can really enjoy. Plan carefully so that you don’t get tired of sightseeing, eating and drinking; if this happens, then you deserve a break. If you are lodging in a luxury hotel, most probably you will have the chance to use a spa. If not, you can still have some relax following our suggestions and buying a massage plus dinner package. I find it hard to think that when you are in Florence you want to go elsewhere, but then I remember that Tuscany is such a beautiful region (and Italy such a beautiful country) that if you have enough time, it’s worth visiting as much as possible. 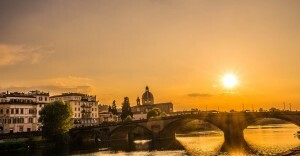 There is a variety of day trips from Florence to choose from, and today even some remote destinations are available, thanks to the fast trains connecting the city centres of the main cities. 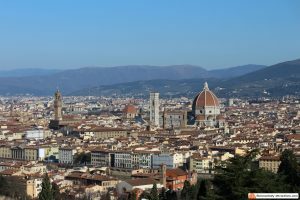 If visiting Tuscany from Florence is a must, visiting Italy from Florence with daily excursions can be wearisome, but in the end, if you move from city to city with all your luggage and spend time in check-ins and check-outs, you will probably spend more money and time and you’ll be less relaxed. Among the three main travel destinations in Italy (Florence, Venice and Rome), if you want to choose one and see everything else with day trips, you have to choose Florence, which is half-way between the other two. The best day trips from Florence are definitely the ones with a destination which is close to the city. Although it is possible in theory, I wouldn’t go to Pompeii from Florence and come back the same day: you would spend most of the day on a train because Pompeii is just too far away. For your daily excursion, choose a destination which is close to the city, or you will be disappointed. That said, some great destinations which don’t look so close to Florence on the map can be reached easily with high-speed trains, that travel up to 300 Km/h (or, if you prefer, 200 miles per hour). Surprisingly, Rome (almost 300 Km away) can be as close as Pisa (70 Km away) in terms of time needed to get there: the distance to Rome is covered just as quick as the distance to Pisa, simply because the train travels faster (added bonus: the train ride in this fast train is great fun and gives you a chance to see the beautiful Italian landscape). 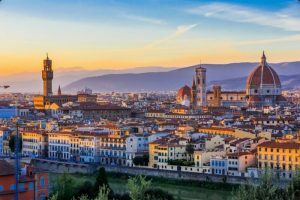 What follows is a series of options you can choose for your one day trip from Florence; I decided to separate the excursions to Tuscany from all the other available destinations, since Florence is the capital of Tuscany. Florence is the capital of Tuscany, and Tuscany is definitely the most famous region in Italy. If you’re wondering why, the answer is easy: it’s the most beautiful region. In Tuscany you can find many medieval villages and other cities with great attractions, the countryside is wonderful, food is delicious… and we are the best wine producers in Italy. Taking a day trip from Florence to Tuscany is almost a must, it will add a lot of value to your vacation to Florence. If I had to choose any day trip from Florence to Tuscany, I would start with a tour of the countryside. There are many areas of Tuscany which are worth visiting: first of all, the Chianti area, home of the Chianti wine, but also Pienza and Montepulciano, two medieval villages close to each other, where pecorino cheese is seasoned into holes digged in the rock, or Montalcino, home of the most famous Italian wine: the Brunello. There are many tours from Florence to the Tuscan countryside, both half and full day, well-organized and often including lunch and/or dinner. To better help you, I wrote a post on the top three tours from Florence to Tuscany countryside. Day trips from Florence to Pisa are probably the most requested, and that’s for two reasons: one is that Pisa is very close to Florence and easy to reach; second because, although Pisa offers much less than Florence overall, it has one stunning attraction: the Leaning Tower. Reaching Pisa by train is easy, but the main train station Pisa Centrale is not very close to Piazza Dei Miracoli, where the Leaning Tower stands. Add to this that this line is used by masses of immigrants to reach both Pisa and Florence, along with other destinations. 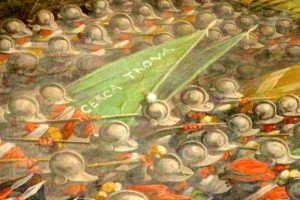 They often don’t pay the ticket and recently there were episodes of violence against the personnel of Trenitalia. It is therefore much better to reach Pisa with a private coach, a service provided by many travel agencies. There are both half day and full day excursions from Florence to Pisa. Read my suggestions on how to choose a day trip from Florence to Pisa and find more info and more proposals. Siena is much smaller than Florence, but the city centre is well preserved, much more than Florence, so it’s a real Medieval city, filled with great attractions, from the Cathedral to Piazza del Campo, where on July 2nd and August 16th the contrade (ancient districts of the city) challenge each other in a historical horse race to win the Palio. Although trains to Siena do exist, they’re very old and slow; much better to reach the city with a bus or private transfer, again joining an organized tour: they generally offer Siena and San Gimignano, or Siena and Chianti, and lunch or dinner or wine tasting is generally included in the price. Read a complete description of the best day trips from Florence to Siena. Situated in Liguria region, the Cinque Terre area is one of the most suggestive and romantic sea landscapes you can enjoy in Italy. Part of a National Park, the Cinque Terre counts five villages (which explains the name, literally “five lands”); the name of the five villages is Monterosso al Mare, Vernazza, Corniglia, Manarola and Riomaggiore. This area is an UNESCO site, because “it’s an example of a cultural landscape of exceptional value that represents the harmonious interaction between people and nature producing a landscape of exceptional quality , which shows a millenary traditional way of life and continues to play a prominent socio-economic role in society”. Generally, day trips to Cinque Terre are full day tours. I made a guide on how to choose a Cinque Terre day trip from Florence. Visiting the Holy City with a day trip from Florence is very possible. High-speed trains get you from the city centre of Florence to the city centre of Rome in just 90 minutes. If you forgot to add some days in Rome in your vacation to Italy, reaching it from Florence is your best option, as it is too far from Venice or other popular destinations. You can choose between a tour of Imperial Rome with the Colosseum, or a Vatican tour, but if you’re not afraid of long tours, you can even do both in one single day. Only recently, agencies started to offer day trips from Florence to Venice. Generally they are quite expensive because they involve a private transfer with a Mercedes car or minivan, but you also have the chance to use high-speed trains, it takes a bit more than two hours to go. They are all full day tours, including a tour guide for part of the time you will spend in the most romantic Italian city, or sold as independent tours, where the agency takes care of organizing the logistics only. There are several other possibilities if you are looking for day trips from Florence: cities like Assisi, Perugia, Cortona, the Ferrari Museum in Maranello, trekking excursions and more. Agencies are becoming smarter, offering more and more possibilities: one of the most recently launched excursion from Florence involves a small group truffle hunting experience. Florence itself offers a lot, but if you are an avid traveller, unable to stay in the same place for more than one day, don’t worry: looks like we have excursions for any need! Even before choosing what to do in Florence Italy, you must choose what kind of tours to join. That depends on your budget, but also on the kind of experience you expect. Below, you will find my suggestions. Once this choice has been made, consider how long you will stay in Florence. I listed so many things on this page, that if you only have one to three days in Florence, you will have to make a choice. If you read on, you will find my recommendations on how to optimize your time. This kind of Florence tours is the less expensive, and you can’t expect top quality. There is a very low (if any) level of personalization in these tours; the tourist guide is given a sort of script and must respect the schedule of the tour. If you get late at the meeting point, for any reason, you might miss the tour, and if you are early and other parties are late, you will have to wait for them. In large groups, people can make questions but you can’t stop the tour for a long discussion with the guide because something particular hit your attention. At the same time, group tours can be great: you might meet some nice people and share your interests with them, or find people asking smart questions that you didn’t think of. 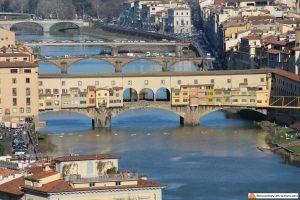 Apart for being on a budget, another reason to choose group tours is that this is the only alternative in some cases: there are some particular attractions in Florence that involve such a high cost for the operators, that the only way to profit is to sell the tour to large enough groups. Examples of this are the Vasari Corridor and Palazzo Vecchio secret passages. Finally, there are some group tours I would choose for a reason you can’t know (but you’re lucky, because now you have your contact in Florence: me): they were launched recently and, on average, the attendance is very scarce, so at the cost of a group tour, you will get a private (or semi-private) tour. 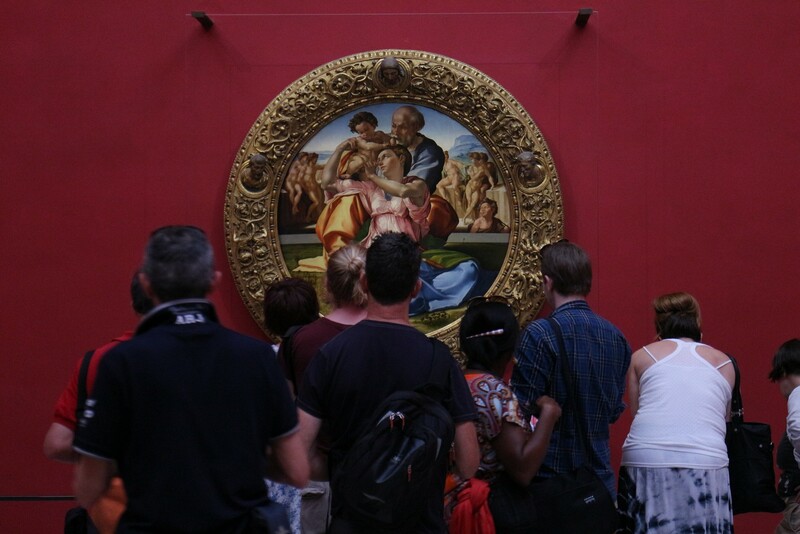 Finally: joining a group tour, especially last minute, might be your only way to visit crowded places like the Uffizi Gallery or The Accademia Gallery, if you didn’t care to reserve your entrance in advance. During high season (April-October), it’s very hard to find tickets for these two museums for the same day and even for the next 2-3 days. This is something that didn’t exist until few years ago. Tired of listening to people moaning because the group was too large, some smart tour operator launched the new small group tours and was immediately followed by all his competitors. Today, almost any agency offers small group Florence tours, with prices that are around 20% higher than standard group tours, but with the advantage of being in a group of 8 to 15 max. Yes, because small group tours are different from agency to agency and I’m here to tell you not to just choose based on price. I see how people prefer to buy a tour with a group up to fifteen people to maybe save € 1.50/person, discarding the tour which has a group up to eight. Let me tell you that there is a big difference between a group of eight and a group of fifteen, which is worth much more than € 1.50/person. People know this, but they think to choose between two small group tours and are unaware of the difference: imagine that some agencies that sell tours for groups up to twenty-five people, call them “small group tours”. Smart marketing technique, “small” is a subjective concept. But again, you have your contact in Florence, right? In my Florence tour reviews, I will point you at the right things to check when choosing the best Florence tours for you, and if you don’t find what you’re looking for in my website, you can still contact me and I’ll be happy to work with you to find a solution. Private tours are the Rolls Royce of the Florence tours. You can personalize them, adjust the duration, make all the questions you wish and even, in some cases, change the itinerary on the spot. The local tour guide will be at your disposal for the number of hours you planned, whatever you want to do. There is a problem with Florence private tours (and private tours anywhere else): they are expensive. I could say that if you want top quality, you must prepare to pay for it, but I am your contact in Florence, your friend in this jungle, and I’m going to tell you why these tours are so expensive and how you can get your private tour of Florence at half the price, if not less. And let me add that if your family, your group of friends or party is made of five or more people, private Florence tours can even be less expensive than a large group tour. Let me start telling you why private tours are so expensive: it’s no secret actually, agencies want the same profit they would have from a (small or large) group tour. With a private tour, they will save on museum tickets (when included) but they will still have to pay the local tour guide for the same hours. Then they have to pay a commission to any middleman who sells their tour, be it the concierge of a hotel or another agency. There is a very simple solution to this issue: directly hire a local tour guide. What is the agency doing here that a local tour guide cannot? They are not organizing anything, just selling the service of a tour guide for a determined number of hours. Just a few days ago, I was called by an agency I work for. There was a request for a three hours private tour: I asked € 180 for that kind of service, and they told me it was ok, and that the customers would pay by cash because it was a last-minute request. Imagine my surprise when the customers gave me € 380: this was the price of the tour, and the agency got € 200 for… what? That’s why you shouldn’t buy private Florence tours from agencies. The internet is filled with tourist guides ready to be hired. Their website won’t be as beautiful as the professional websites of the multinational tour operators, but they are the same tour guides that will provide the tour if you buy from an agency. I’m one of them, and I’m also your contact in Florence, so you don’t have to do anything else but choose me and my tours! book a guided walking tour including the Accademia Gallery (about three hours), have a nice lunch at the Central Market, and spend the afternoon shopping around. Visiting the city on your own? If you do this, you are missing a big opportunity to greatly enlarge your knowledge of art and history. Follow my guide for hiring local tour guides. The history of Florence is the history of the current civilization, and arts reflect the change that ignited the modern era. If you are a first-time visitor you will also make a lot of mistakes, staying in line more than necessary to visit the museums and in the end, the day will probably be a disappointment. You don’t know how Florence tickets work, and you don’t know if you should buy Firenze Card or not. One day is a very short time to visit Florence, definitely insufficient, and you must try to squeeze as much as possible without unnecessary hassle. You can visit many more attractions with two days at your disposal, and you can have more time to enjoy the delicious local food and shop around. My suggestion is to dilute the cultural activities, choosing two half day tours. Book a Walking tour with David one day, and an Uffizi Gallery tour the other day. What to do in Florence when not visiting museums? You can visit the Central Market, a temple of typical food, with a chance to do some wine and food tasting. You can take a cooking class, or shop around on your own or with a shopping guide: Florence is great for leather stuff and fashion in general. 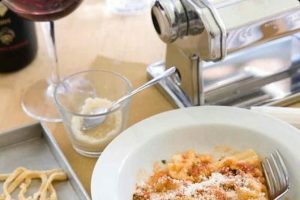 Being in Florence for two days means you will have at least one dinner to enjoy at one of the great restaurants the city can offer. Make sure to choose one with typical Tuscan cuisine, famous worldwide. So you spent two days in Renaissance city: now you have an idea about the history of the city, have seen the main attractions and your refilled your tank with beauty. You tasted some great food, spent some money shopping, and you’re wondering what to do in Florence today. If you loved something related to art and history, it’s time to deepen your knowledge. Maybe you don’t know, but visiting the city center, the Accademia Gallery and the Uffizi Gallery you just scratched the surface of “Renaissance City”. To obtain my license as tourist guide of Florence, I had to pass an exam after a course that lasted more than one year. I don’t want you to become tourist guides, but tell you that if you liked something in particular, like the works by Michelangelo or the history of the Medici family, there are plenty of awesome places to visit, in addition to the main paths, that you would still see new things even after one month. If you are more of the kind that can’t stay much time in the same place you can plan an excursion: the surroundings of Florence are as beautiful as the city. Siena, Pisa, Tuscany in general and the Cinque Terre are among the most popular destinations and many day trips from Florence are available, for any need you might have. If you prefer art and history, food and wine, hiking and sightseeing, all of this and more is available. I even suggest you take your trip on your second day in Florence, so to have a more varied holiday. Don’t worry, you won’t be left wondering what to do in Florence Italy: if this website can’t answer your question, contact us, let us know your preferences and let us plan your tours and activities.